Chris Flemmings didn't get any East Coast Division I offers in high school, but he didn't let that steback deter him from his dreams. Like most mothers, Tracey Flemmings figured she knew best. 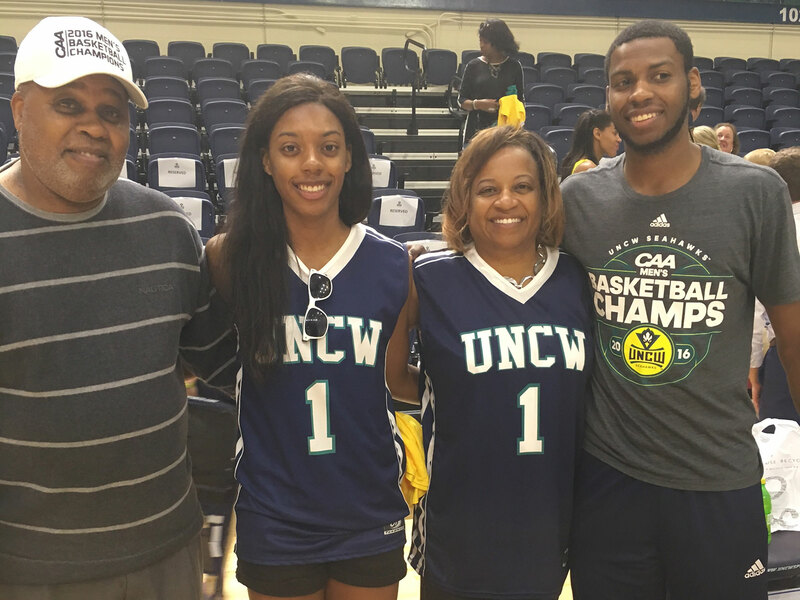 So when her son, Chris, was mulling a transfer from Division-II Barton College to Division-I UNC-Wilmington, Tracey took it upon herself to drive to UNCW’s campus—just a two-hour trip from the family’s Raleigh, N.C., home—and explore. She liked the small-town feel and the student calendar packed with weekend activities. And since she was there, she decided to check out the arena. Then she heard the familiar thump of balls bouncing and figured if she was already on campus and in the arena, why not introduce herself to that coach over there, and put in a good word for her son? “Is he any good?” asked Kevin Easley, then UNCW’s director of operations. “Well, he’s O.K.,” said Tracey, in one of the only times a mother has ever undersold her child’s athletic ability. Two years later, Chris likes to call Tracey the best, unofficial agent no one has heard of. And yes, he says, she definitely deserves some credit for helping him transition from D-II standout to D-I walk-on. Tracey laughs and says while she and her husband, Charles, are proud of their middle child, he is the one responsible for going from walk-on to all-conference player and recipient of compliment from Mike Krzyzewski. Mention that—when the legendary Krzyzewski pulled Chris aside after Duke’s 93–85 win in the first round over UNCW of the NCAA tournament last year, after Chris scored 18 and Krzyzewski told him what a special player he was—and Tracey practically swoons. Tracey said she did “everything I could to raise my kids as Dukies.” Chris attended basketball camps at Cameron Indoor, and Tracey insisted that the TV be tuned Duke whenever the team was on. 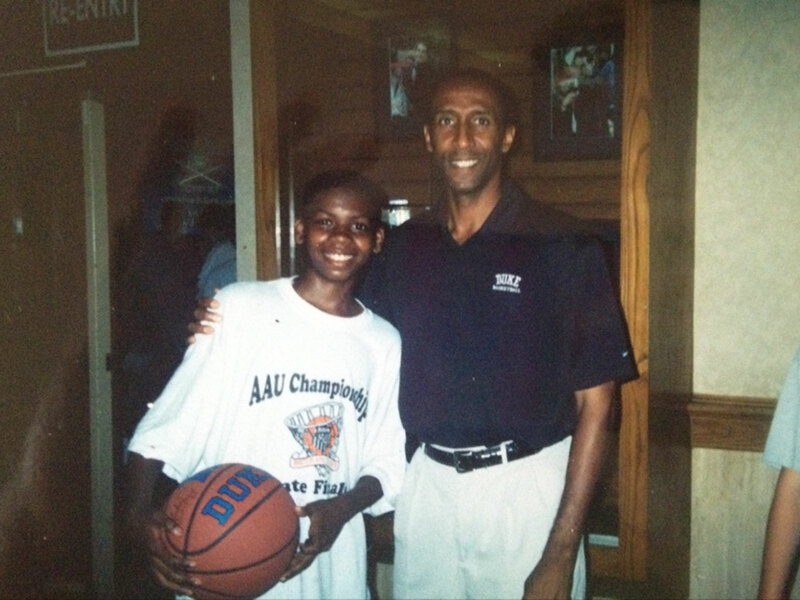 Tracey loved driving Chris, a champion chess player as a child, to Duke for local chess competitions, happy to chatter away about the legendary basketball program in Durham. Chris rejected the Blue Devils though, rooting instead for his dad’s favorite team, the Tennessee Volunteers. Chris might not have picked up his mom’s love for Duke, but he paid close attention to almost everything else his parents, both former college players, taught him. Tracey, a 5' 7" combo guard, was an all-conference player at Barber-Scotia College from 1982 to ’86. Charles, a 6' 2" guard, played at Knoxville College from 1976 to ’78. (Both are historically black colleges.) Neither played professionally; opportunities for women to play after college were fleeting back then, and Charles says that while he had an opportunity to go overseas, he was leery of leaving the country because he wasn’t sure “who liked us [Americans] and who didn’t.” When they had children, there was no doubt they’d raise hoopers, with a hefty dose of tough love. There have been a lot of highlights over Chris’s basketball journey, especially the last few seasons, but Tracey’s favorite might still be when he was 12 and they were playing for the local YMCA league championship. Chris, a sharp-shooting guard, wasn’t paying attention in a timeout, so Tracey benched him. It was only after some coaxing from her assistant that she decided to reinsert Chris for the final play. Seconds later, he hit the game-winner, helping the team to an undefeated season. He still reminds Tracey of her almost-coaching blunder. He played both his parents in endless games of one-on-one, claiming that by the time he was in the seventh grade, he could beat his dad. “That is an alternative fact,” says Charles, a retired city worker. Chris graduated from Green Hope High as a two-time all-conference selection, but the skinny 6' 5" guard (he weighs just 180 pounds now) had only a handful of Division I offers from mid-majors in California. Tennessee was Chris’s dream school, but when he looked into potentially walking on with the Volunteers, it wasn’t likely to work. Same with NC State, the school in his backyard. After touring a few schools the Flemmings settled on Barton College, a D-II college in Wilson, N.C., about a 45-minute drive from Raleigh. Chris made an immediate impact, averaging 10.7 points and 3.5 rebounds per game and earning a starting spot midway through his freshman year. He helped the Bulldogs to a Sweet 16 appearance that season and about that time, started to wonder what it would be like to play in the primetime version of March Madness. By his sophomore season he’d nearly doubled his rookie stats (19.6 points and 6.8 rebounds) and earned 2014 Conference Carolinas Player of the Year honors. “I didn’t really think about [transferring] till after that season, but when one of my teammates got serious and asked if I really thought I was good enough to play Division I, why wouldn’t I try? And I didn’t really have a reason to say no, that started the process,” Chris says. He talked it over with his parents, who said they’d help in any way they could. Within weeks Tracey was at UNCW, calling Chris and encouraging him to reach out to the Seahawks’ new staff, headed by Kevin Keatts. Chris liked that in his first conversation with Keatts the coach emphasized he wanted to be about lockdown defense and that he didn’t care about who scored or played, so long as his guys pushed the pace offensively. NCAA transfer rules mandated that Chris sit out the 2014–15 season, but as a junior last year he enjoyed a smooth transition to D-I. The CAA named him to its all-conference team after he averaged 16.1 points and 5.9 rebounds per game, while shooting 51.3% from the field. He led UNCW to the CAA conference championship, a 25–8 overall record and back to the NCAA tournament, where the Seahawks lost to Duke in the first round. He was never crippled by self-doubt, he says, choosing instead to remember something he heard long ago about fulfilling your dreams, even if you have to take a detour along the way: No matter what, just keep fighting. Fittingly, he heard that from his mom.